Have you ever wished you could travel back in time? What about to the Elizabethan era of England? With The Time Traveller’s Guide to Elizabethan England by historian Ian Mortimer, a journey back in time is possible without ever leaving the present! Because of England’s long history, any sightseeing trip will likely involve visiting monuments or structures that are hundreds of years old. However, merely visiting these remnants of another century usually fail to offer us a complete picture of what these landmarks were actually like in the past-- especially since old monuments have almost always changed over time. This is where Mortimer’s book assists the reader in creating a complete image of the past while touring England. With some history and a little imagination, Mortimer leads readers to still-standing remnants of the Elizabethan era and helps them picture the world as it was then. Mortimer’s descriptions help travelers see past the modern setting to experience landmarks as they originally were. Below are several Elizabethan locations from Mortimer’s book that can be visited today. While the majority of these locations are popular tourist destinations, only with the in-depth historical insight of an author like Mortimer can these locations be seen through the eyes of a time traveller. Stratford-upon-Avon lies to the northwest of London, and is a popular tourist destination because it was the birthplace of William Shakespeare. Much of the city that Mortimer describes (the city of the 1500s) is no longer in existence, but there are still quite a few structures that can still be seen today. A cluster of structures that actually still stands is the Guild of the Holy Cross complex which dates back to medieval times. The compound consists of timber-framed almshouses, the grammar school, and the stone chapel that stands at the corner of Church and Chapel St. Directly across the street from the Guild’s Chapel stands Nash’s House-- which is a museum for a building called New Place which no longer stands. The small two-story building doesn’t quite look like a museum, but the Tudor-style structure fits well with the town’s Shakespearian feel. 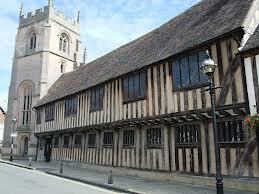 In Mortimer’s historical vision, the traveller would be staring at the grandest house in all of Stratford-upon-Avon. It would be three stories high, have large windows, and if it was shortly before Shakespeare’s death, the playwright himself would be in residence. However, this building no longer stands, and the foundation is all that remains. 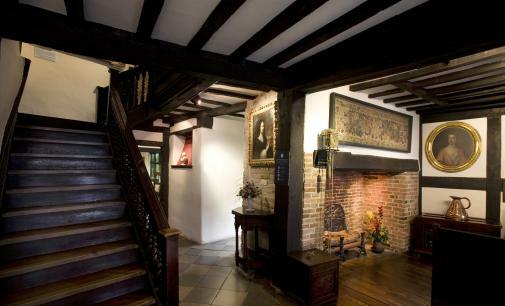 Today, visitors can see this foundation of the original house occupied by Shakespeare, as well as the well-preserved Tudor house that doubles as a museum. Ticket prices for adults range from £14.95- £22.95, depending on which tour packet is chosen, and family prices are from £38.50- £58.00. The house’s hours are from 10am-5pm for most of the year, with winter hours 11am-4pm from November to February. The silhouette of St. Paul’s Cathedral is regarded as an iconic part of the London skyline, and is a stop many make on their trip to London. However, Mortimer explains how the structure as we know it today would have been completely different in Queen Elizabeth’s time. Prior to 1561, Mortimer explains that the site of the cathedral would be easily spotted from a distance as travelers headed towards the city. The most noticeable feature would have been the spire of the cathedral which stood over 500 ft high. But if a visitor came after the year 1561, the year in which the spire was destroyed by lightning, St. Paul would not have been revered by many as a magnificent landmark. Today, St. Paul’s is crowned not by a spire, but by a dome, which visitors can actually climb to experience its acoustics. Visitors can also visit the crypts, and attend guided tours. Sightseeing hours are Monday-Saturday from 8:30am-4pm, and ticket prices for adults are £16.00. Group and student discounts are also available. The Tower of London was erected in 1078 and still stands to this day. Throughout its lifetime, it has been a significant fortress, prison, and palace for the royal powers of England-- including Elizabeth I. Mortimer does not forget this important site, and includes it in his tour of Elizabethan London. Mortimer explains that during the 16th century, the Tower’s size would have dominated the eastern portion of the city. Visitors also might have been interested by the medieval palace that survived Elizabeth I’s reign. At this time, the Tower was also still used as a prison, so it was not a place for tourists as it is now. Today, visitors may not be as awed by the tower’s size as the people of the 16th century may have been, but there are still many sights that continue to attract visitors. Visitors can see the Crown Jewels, experience what life was like in a medieval castle, and see suits of armor belonging to kings. The hours are 1 Mar- 31 Oct, Tues-Sat 9am-5:30pm, Sun-Mon 10am-5:30pm (Close is at 4:30pm 1 Nov- 29 Feb), and ticket prices are £19 for adults, £9.50 for children, and £50 for families. Tower website. Another location a few miles from the Tower that was an extremely popular site in the Elizabethan Era was the London Stone. Mortimer describes how any visitor to London would have been directed by locals to see the stone because legend stated it was set in place by the mythological founder of England, Brutus. 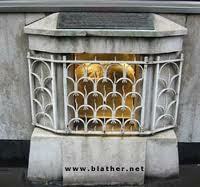 The London Stone still stands today, and can be visited at 111 Cannon St.
Out of all the locations in Mortimer’s book, the changes that the London Bridge has undergone over the centuries may have been the most dramatic. Today, the London Bridge has the simple appearance of most other bridges, and caries the A3 over the Thames so cars and pedestrians can cross the water. However, in the 1500s, the appearance and function of the London Bridge was radically different from what it is today. Mortimer explains that the bridge itself was greatly talked about by visitors. The bridge featured twenty arches, was eight hundred feet long, sixty feet high, and thirty feet high. While it may not be the highlight of London today, it was inspiring to those in the past. If you are interested in finding more sites relating to Elizabethan England, there are additional locations inside of Mortimer’s book. However, the historical nature of this book also means it is not suitable for every traveler. Rather, this book is best for “time travelers”: those who want to make the past come alive through history and imagination! 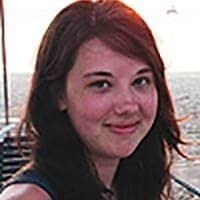 Rachel Siden is a former editorial assistant for GoNomad.com. She is a graduate of UMass Amherst with a B.A. in Philosophy and is a freelance travel writer from central Massachusetts.